↑ 1.0 1.1 "Athena". Myths Encyclopedia. Archived from the original on 4 January 2010. สืบค้นเมื่อ 2009-11-24. ↑ Deacy, Susan, and Alexandra Villing. 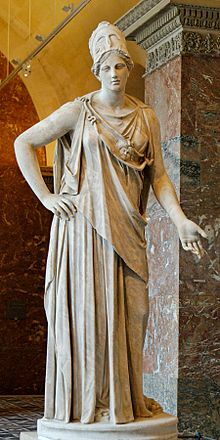 Athena in the Classical World. Koninklijke Brill NV, Leiden, The Netherlands: Brill, 2001. Print. หน้านี้แก้ไขล่าสุดเมื่อวันที่ 21 กรกฎาคม 2559 เวลา 17:48 น.